With the Olympics approaching, gold medals are on everyone’s mind. Luckily for Rueda, at the 36th annual San Francisco International Wine Competition, one wine performed in the clutch and is going home with a medal around its neck. In fact, it’s going home with a Double Gold medal. This isn’t the first time the Flor Innata has won over competition judges. 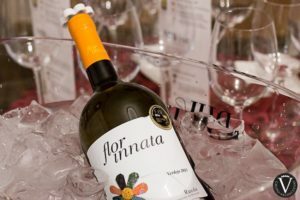 At the 2015 Ultimate Wine Challenge, it earned a score of 91 points and found itself in the Top 10 Spanish white wines ranked in the competition. Pale yellow- gold with some pale green notes and light lemony shades in a thin layer. High aromatic intensity, fruity with tropical notes. On the palate it is full body, smooth and pleasant. Ribera del Duero and Rueda pulled off quite the victory at the 2015 Ultimate Wine Challenge: Our wines were the top-rated Spanish bottles.